For my STEP Signature Project, I studied abroad in Argentina and Antarctica in the program Antarctica: Human Impact on a Fragile Environment through the Office of International Affairs. 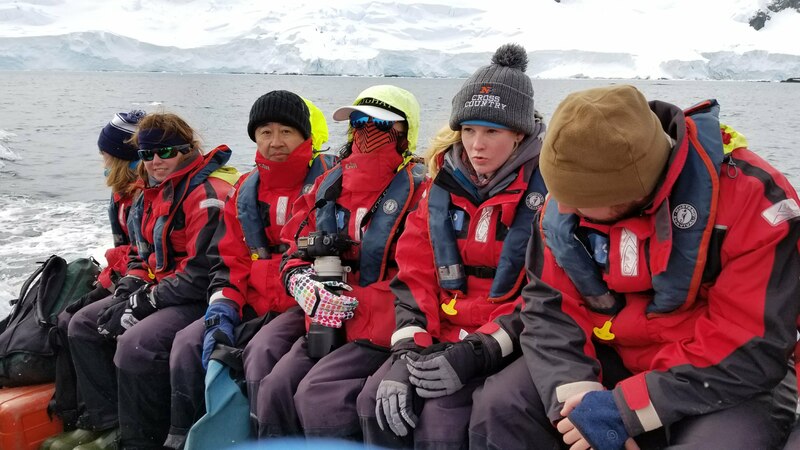 Over the course of two weeks, student from universities around the country went to Ushuaia, Argentina and various locations around the Antarctic Peninsula, conducting research and appreciating the unadulterated nature. 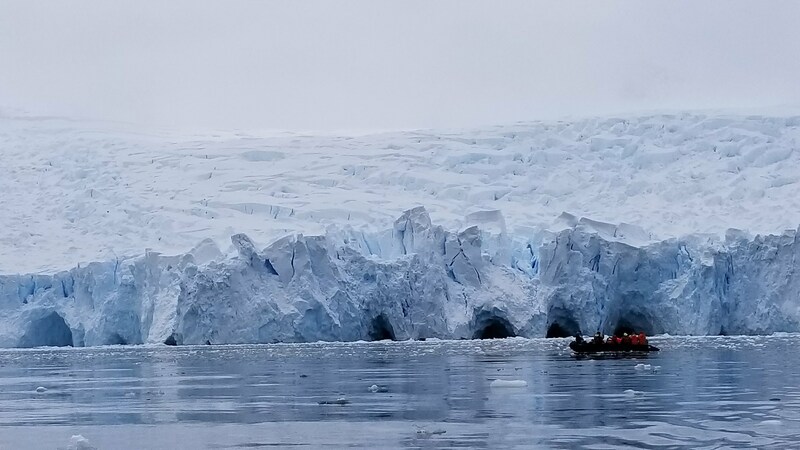 I initially sought a journey to Antarctica to acquire a perspective of the world that not many people get to see; now, after my trip, there’s a conflict inside me whether people should visit the continent. The magnitude and majesty of Antarctica is incomprehensible, with towering glaciers and exotic wildlife unaccustomed to humans everywhere. But the cruel irony of ecotourism creeped into my mind throughout the trip, wondering how sustainable my actions really were. 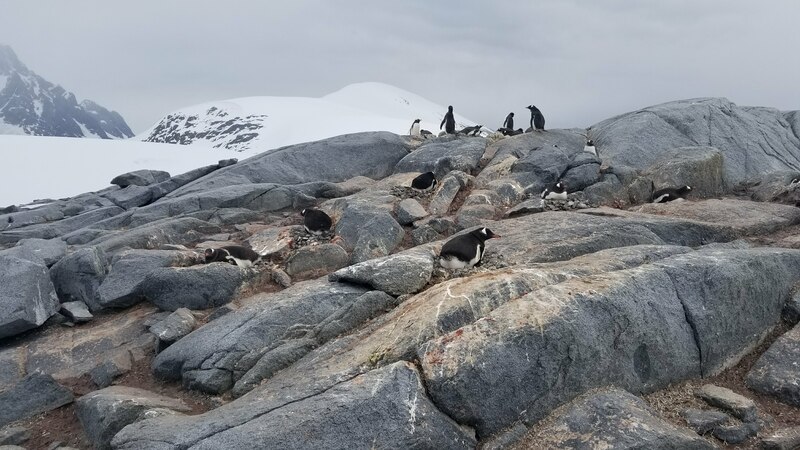 I wanted to share this amazing place with the whole world, but simultaneously, I knew increased human traffic would irreversibly mar the Antarctic ecosystem. This is not to mention the impact humans have had on Antarctica from thousands of miles away. From these revelations, I’ve become more aware of my global impact, through local and legislative actions. Also, through my trip, I had a smaller change in my mindset that will still affect me greatly in my college career. Like many undergraduates, I always just assumed faculty were people absorbed in their work without much else to their personalities, but through some interactions on my trip, I was able to overcome this undergraduate hurdle and view faculty with more depth. It was our second day of making excursions, and we had just landed at Petermann Island. We were given a mandatory briefing in English and Mandarin before the landing about the importance of not getting within five meters of penguins and to not step on their frequented paths, also known as penguin highways. After taking in the scenery for fifteen minutes, I approached one of my friends that appeared disgruntled and asked how he was doing. He grumbled to me about witnessing tourists walk across penguin highways with complete disregard, as well as seeing some people actually chasing down penguins to get the perfect picture instead of respecting international law and preserving the environment. I glanced around in disbelief, and then in horror. He was right. I spent the rest of the excursion on an isolated rock, watching the penguin colony struggle in the presence of dozens of humans and reflecting on the irony of my journey down to Antarctica. Even now I still wrestle with the ethics of my visit and if ecotourism should still continue. We were at Brown Station, and had just finished climbing a steep mountain that gave us a breathtaking view of the bay on a backdrop of an icy mountain range. Before heading back to the vessel, the expedition leader took us on a Zodiac cruise of the surrounding area to check out some local cormorant colonies and some napping seals. We cruised by a cliff face with a small streak of green peeking through, and he explained that was a copper deposit, and how Antarctica is full of resources that many nations would love to exploit if they could. He ended with the importance of the Antarctic Treaty and how it’s the only thing standing between Antarctica and heavy resource extraction. This gave me a sense of urgency that I need to be aware of how my country and other countries handle policy concerning Antarctica and other natural havens. Much of the time in Antarctica was not spent on land, but instead on the ship, especially the lounge. Trapped for ten days on this vessel with a limited amount of people to talk to, I made an unlikely connection and overcame one of the biggest fears of undergraduate life. Sitting around in the lounge, I started a conversation with one of the advising professors, and night after night, day after day, through small exchanges, we got to know each other and had intriguing conversations about his studies and our thoughts of various subjects. After the trip finished, it dawned on me that he was actually a professor: someone that stands in front of a class and leads discussions! It was bizarre to think that my professors were all normal people with opinions on things other than calculus. Increased global awareness will continue to benefit me throughout my life, and hopefully beyond it too. Caring for our planet is extremely important, as climate change is one of today’s most pressing concerns. I hope this change of mindset can manifest itself into tangible progress in minimizing my impact on the planet, and also all of humanity’s impact as well. With a newfound understanding and appreciation of professors, I hope that I can more readily approach professors and make stronger connections. These connections can enhance my education, as well as lend me future opportunities through recommendations and guidance. Throughout our journey to Spain through the Human-Animal Interactions Education abroad, we visited several different places that exemplified the diversify of animal care practices we as humans utilize, being given the opportunity to compare and contrast the cultural implications behind how we care for our animals. 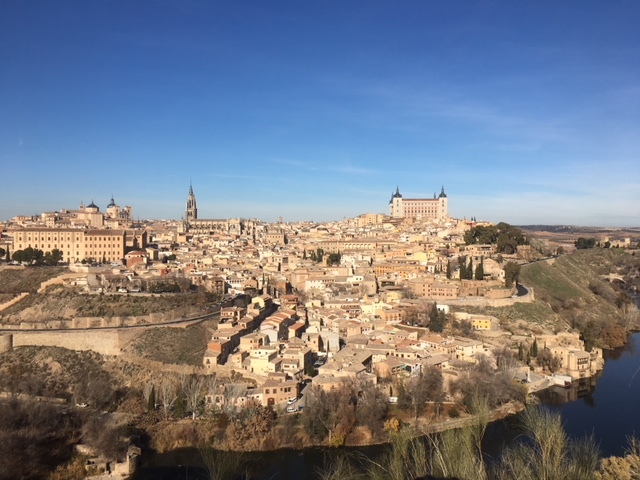 For example, we visited the Madrid Zoo, an animal rescue, several farms and animal research facilities, the Plaza de Toro (bull fighting arena) and more. Overall, throughout the places we visited in the wonderful country of Spain, there were many human-animal interactions that are similar and different that in the U.S., holding a good amount of pride and tradition in each. “A country and its people should not be judged based on size. Nationalism is something you feel in your heart.” Dennis, the van driver and 9th generation Gibraltar native caught something that seemed to be prevalent throughout our trip through Spain: pride. No matter where we went or what human-animal interaction seemed to be in practice, there always seemed to be a certain amount of pride associated with it, whether that be due to tradition or just general production. Through animal practices such as entertainment and sports, production animal welfare, and commercial/touristic use, there were many human-animal interactions in Spain that were comparable to the United States. Personally, this diverse belief system in the practice of animal use and care really opened my mind to how much a certain culture or way of thinking can change really effect an entire lifestyle different than my own. Yes, animal welfare and care may not seem that important to everyone, but entire industries in not just food production, but sports, education, conservation, and so much more are effected just by the way we care for our animals, and to travel somewhere seemingly similar and have it turn out to be quite different is eye opening in a way. While some things about their farming style, bull fighting, and expert practice in equestrian riding and show can be considered very controversial on several different levels, there is a huge amount of cultural belief and practice behind those practices that have been occurring for longer than the United States has even been a country. To see how much can play into our societal view of animals as human communities was very enlightening, and now I have a better understanding of why certain practices may be put into place because of the diversity behind the humans in control of animal life. When it comes to the entertainment and sports industry and animals, there seemed to be more practices with a much deeper cultural meaning to them in Spain than in the United States. The first one that probably comes to mind is bull fighting. There is so much controversy outside of the country (excluding Catalonia) about the practice, and, while is can be considered inhuman euthanasia in the broad sense of the term “humane”, there doesn’t seemed to be much understanding behind why it is practiced. The Spanish bullfighting sport/entertainment industry isn’t exactly based off of revenue or gain, but the tradition and passion behind the fight. The bull is revered as ‘brave’ for the progression of the fight, and the way that its life is taken is basically seen as sacrificial. With each stage of the fight comes a different story, youth to midlife to the end of life, the fight is not just a show to the people who are watching it, but an almost spiritual performance. When the bull’s life is taken, the people involved are fully aware that it might be painful or incredibly stressful to the bull, but they also see this pain and stress as a valiant and courageous way to go. The bulls are going to be harvested for their meat either way, but to be utilized for their inbred behavior and dangerous attributes is basically an artform to the people involved. Bullfighting is almost a worshiping lifestyle, not only for the people involved in the fight but the ones who raise the bulls, and there is so much pride and tradition within each layer of the practice. The same could be said for the Spanish School of Equestrian Art and the practice of showing their horses. While some may think that showing horses is wrong and that there may be abuse involved, the relationship between the horse and the trainer/rider is something very unique. They both work toward the same goal of showing a prestigious movement or jump, and along with that comes a reputable pride in the aesthetics of the performance. This sport is also a lifestyle: a human-animal interaction that lasts longer than most. 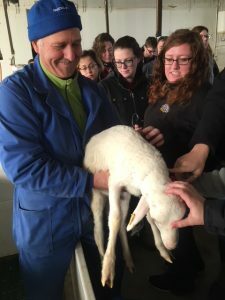 Furthermore, I was very interested to see how the animal welfare practices and views were in Spain, and it turns out there were many commonalities with several differences in the upkeep of humane animal care. For example, in the University of Madrid’s animal research center, they also contained a system for ethical committee checks on the research process, however, it was a little more involved than the process we go through at Ohio State, having two in person committee reviews annually for each project. The government also seemed to have a greater hand in the auditing and care process of not only the research and production facilities, but even the animal rescue, donating just enough money to meet the physical needs of the animals brought to the shelter. That being said, the welfare practices and regulations on the farms that we visited seemed very similar to those we have in the United States, but with more control and regulation behind them. Lastly, I feel like the certain pride that comes along with animal use and production in Spain should be noted. For example, everywhere we went in Spain, there were bull-themed products and statues, not only honoring the tradition and sport that is bull fighting, but using the animal as a symbol for the country itself. The same could be said with Gibraltar and the territory’s commercial use of macaques as a selling point for tourism. This sort of indirect human-animal interaction shows how much the people within and outside of the country appreciate the animals used in various settings, and use this point of pride to gain revenue. That same sort of pride was also reflected in certain animal products, like the pork and the cheese. To advertise the product as being a certain type, like 100% Manchego cheese or Iberian pork, there were many strict guidelines in place to defend that advertised labeling. Everything down to the color of the sheep and the exact feed intake of the pig were taken into account, and the whole of Spain has become famous for its pride in food. Indirect human-animal interactions such as animal imaging on products and consumption still do show the large amount of pride the Spanish have in their animal interactions, being very particular about the tradition that goes along with it as well. Overall, throughout the places we visited in the wonderful country of Spain, there were many human-animal interactions that are similar and different that in the U.S., holding a good amount of pride and tradition in each. Through the tradition of animal use for sport and entertainment, which has been evolving and growing to the Spanish prestige it is today, we could see how the relationship and view of the animal has come to almost a worship and large respect in comparison to other animal uses. The animal welfare practices in Spain were very comparable to the United States, having more governmental checks but very similar issues and care routines. Animals could also be seen as a sense of pride in a touristic sense as well, seeing the animals and the animal products they are most proud of wherever we went. The realization of the amount of diversity and perspective change there can be among something as common as the practice of animal care and human-animal interactions is very impactful in not only my future endeavors, but my future understanding of the motivation behind why people view animals the way they do. With a future centered around studying the care of animals, whether that be graduate school in animal welfare or veterinary school, I think that how we as as society view our animals and interact with them is extremely important, because, whether we realize it or not, animals are very ingrained in our lives from pets to food to the environment and everything in between. To see that, because of certain societal aspects (culture, ethics, expectations, etc.) animals can have a completely different care practice and viewpoint in store for them, I have a better understand of what thought can go behind our interactions. Personally, I may not agree with all of the practices I may have seen, but I can objectively describe and reason through why the care is a certain way, and that is they kind of knowledge I wouldn’t have been able to discover in a classroom or on my couch at home. My change in perspective about the diversity among human-animal interactions really can reflect in my future in several ways, and I’m very grateful for this opportunity that made a significant impact on my view and future understanding. ¡Bienvenidos a la Pura Vida! My STEP Signature project consisted of a 10-day long Buck-I-SERV trip, in partnership with the Outdoor Adventure Center, to Costa Rica. 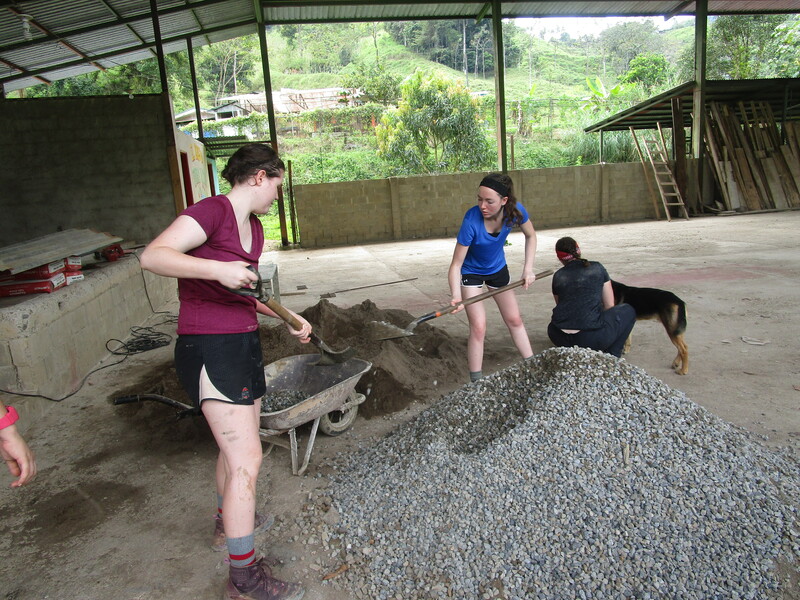 We spent the first five days traveling from San Jose, to San Isidero, to las Piedras Blancas, and then to Brujo where we completed two days of community service. 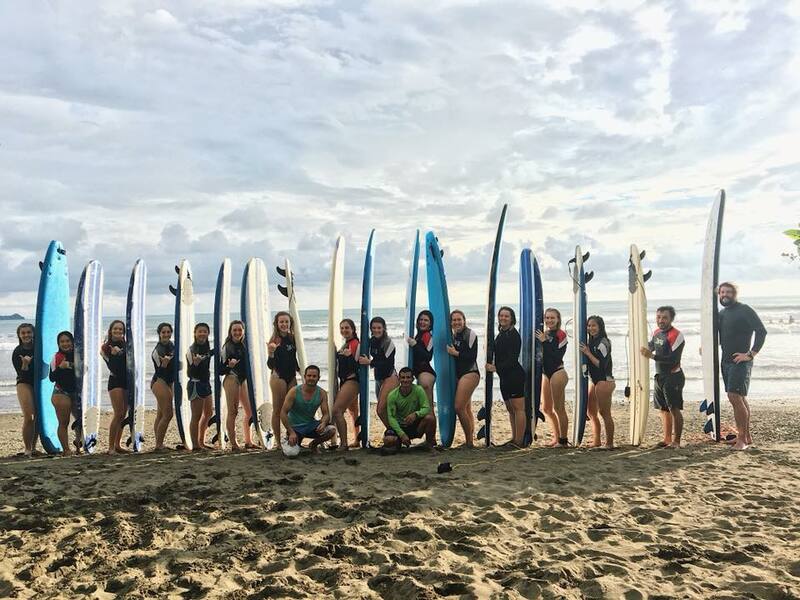 Then we spent the last three days white water rafting to la Playa Uvita, where we spent our last days learning to surf. The biggest reason that I advocate traveling is because it gives you a look at the world outside of the U.S. Often we can become wrapped up the bubble of the United States since it surrounds us on a day to day basis. However, it’s important to remember that there are many other cultures, values, beliefs, and lifestyles throughout the world that are just as important and relevant as ours. Travel, at a very basic level, promotes understanding and cultural osmosis. On our second day in Costa Rica we left our homestay from the night before and embarked on the journey to our next homestay, a house located in las Piedras Blancas, which is only accessible by climbing Cuesta Roja (“Red Hill”). As it turns out, Cuesta Roja is a four-hour hike of straight ascent. The fact that the locals considered the hill worthy of naming should have been the first sign that I may have gotten myself into a situation I wasn’t prepared for. Before this trip I considered myself an active, fit person, however, Cuesta Roja had me questioning everything in a near delirious state of mental and physical exhaustion. The point of this anecdote is more so the boy from the homestay who came to bring us lunch rather than my physical trials. After we had eaten lunch, we started the remainder of our trek with the 12-year-old boy, Daniel, acting as the leader. While the entirety of our group floundered on the side of the mountain, Daniel picked his footholds strategically and scaled the mountain with a grace only gained through years of practice. Daniel never complained that he was sweaty, that he was tired, or that he was out of breath. Leading our group was a part of contributing to the tourism business that supported his family, and so he waited patiently for us to catch up while we all watched, astounded at his hill-climbing prowess. 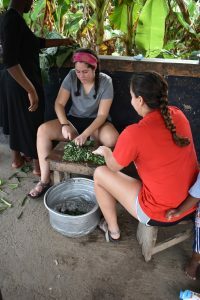 My objective in providing that short anecdote is to provide insight into the lives of the people we met in Costa Rica. I realize it’s said often, but the lifestyle we lead in the United States is somewhat cushy in comparison to other countries. The people of Costa Rica, especially those living in rural areas, must work for everything they have. They grow their own sugar, they raise their own livestock, they provide most necessities for their families themselves. The work ethic in Costa Rica is by far the aspect I am most impressed by, and an area in myself I spent a of time reflecting on as a result. Daniel never complained about Cuesta Roja, and subsequently I started noticing when I complained. If this 12-year-old could climb this hill multiple times a week, then I could climb it once with minimal griping. Daniel was only 12 and already helping with the family business by guiding tourists and delivering lunch. It didn’t just end at Daniel, everyone we met seemed to work hard every second of the day. Our host families prepared us three meals a day, in addition to a small snack provided during afternoon coffee at 3:30pm every day. That’s a lot of cooking when they’re housing a group of 16 as well as their own family. Not to mention the fact that most of the food we ate had to be grown by the families themselves. It was about half way through the trip before we realized that any meat we were eating had been raised and butchered by the families themselves. This is something few people must deal with in the United States and was incredibly eye opening. Manos and Abraham, our guides, leave their families in Brujo for days on end to lead tourists and support their families. Some of the kids in the village walk two hours to get to the nearest high school. Everyone we interacted with worked so hard at everything they did, and it caused me to evaluate my life back home in the States numerous times a day. If I want to eat chicken for dinner, I simply go to the store. I don’t ever have to hike, period, let alone hike Cuesta Roja weekly. The approach they have to life was probably the most memorable and admirable part of the trip for me, and my goal since getting back has been to give more of myself to whatever I do. If I could develop even a fraction of the work ethic they have, I’d be a much better person. I hope to bring back to the U.S. with me a better attitude. 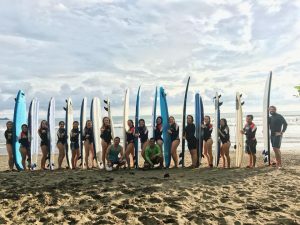 That’s not to say that I’ve ever considered myself to have a bad attitude, but I want to incorporate more of the zest for life found in the people of Costa Rica into my everyday life. I hope that whenever work gets me down that I think of Daniel and his patience in getting us up the hill. 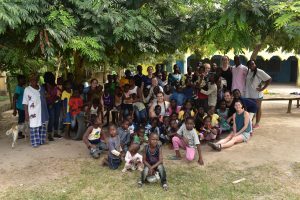 This past winter break, I went on a Buck-I-SERV trip with the Akumanyi Foundation to Akokwa, Ghana for 10 days where we worked at an Orphanage in a very rural part of Ghana. Most of the daily chores we helped with included sweeping and mopping, dishes, cooking, and bathing kids. When we weren’t helping with these chores, we played a lot with the many kids there. On the weekend of December 30-31st we took a trip to Cape Coast and did a lot of sight-seeing and toured historic sights such as Kakum National Park and the Elmina Slave Castle. We also had the opportunity to go to various neighboring villages to see the foundation’s other projects. Going into this trip, I didn’t have many expectations. I knew I would experience some form of culture shock from seeing how different Ghana is from America, which I definitely did experience. The biggest difference I did see was how content the kids in Ghana were with the little they had. Because the orphanage houses over 85 kids, none of them really had anything that was their own. Everyone shared everything and was very open and willing to sharing with their brothers and sisters. This was so different from my experience with American children who always seem to want to take possession of “their” things. Related to this, another difference I also noticed was how everyone seemed to have a group mentality instead of a “me first” mentality so often seen in America. Almost everyone I encountered there had a very large focus on everyone around them and success as a group. This was such a refreshing change from the way of life in America that tends to focus a lot on “every man for himself.” I do feel like a lot of my own personal views on life were put into perspective because of these encounters and I reevaluated a lot of my life. This was evident solely by watching the kids work and interact with each other. They always made sure all of their brothers and sisters were taken care of and would share everything they had to make the others happy. One day, for example, one of the kids found a cardboard box that they started playing with and found so much joy in playing with. Another kid came up and immediately the other shared the box with them so they could enjoy it together. Most of the kids saying goodbye before we left. On the other hand, I feel like my biggest shock actually came from the large amount of similarities between Ghanaians and Americans. Many of the kids I interacted with reminded me so much of American kids at heart. Although they found joy in such different things, it made me realize that kids are kids and they all have the same spirit, which was really cool to see. This definitely opened my eyes to the idea that, while people may come from different backgrounds or situations, we are all still the same in some ways. Another big aspect of this trip, for me, was seeing the incredibly strong faith everyone had. Having faith in God is not even a question for everyone is there and it shows everywhere. In all of the villages and on all of the cars were signs and sayings about God and having faith in Him as a protector. Additionally, all of the kids genuinely enjoyed learning about and praising God and going to Church. They would openly ask all of the volunteers if we knew God and gave Him the praise He deserved. For me as a Christian, this transformed my view of my faith entirely and strengthened it tremendously. I also had the opportunity to go to Church on New Year’s Eve from 9 PM to 12:30 AM. The concept behind it was to start off the new year giving praise to God and praying for well-being in the upcoming year. This was such an incredible concept to me that I had never thought of before. I also got a chance to talk to a 14 year old girl named Lovester. This girl suffered through many hardships because of her situation but also because she relied on a prosthetic leg that didn’t fit very well at all. It was easy to see that she struggled to run and play with other kids or even do basic chores because of this. In spite of her situation, Lovester had some of the strongest faith in God I have ever experience in my life. She alone gave me an entirely new perspective on my life and what I consider to be problems. 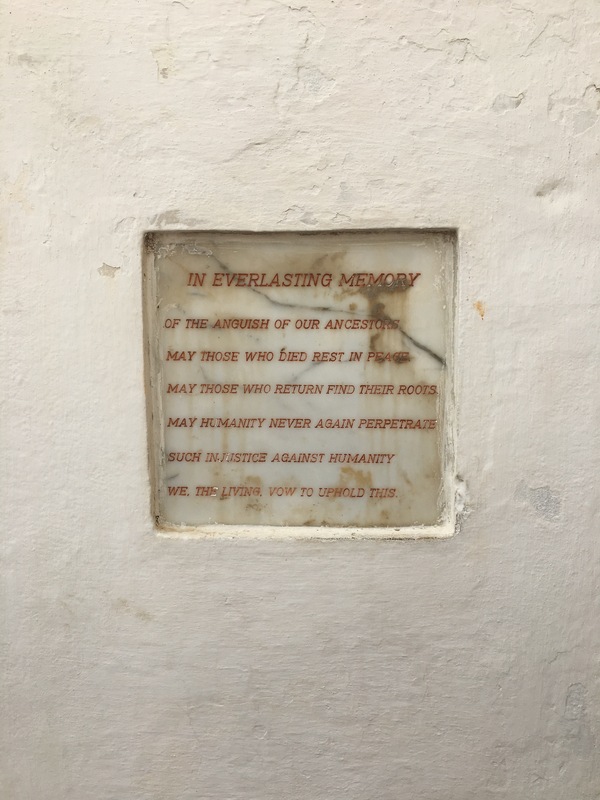 Lastly, an experience that had a big impact on my views was the tour of the Elmina Slave Castle in Cape Coast. 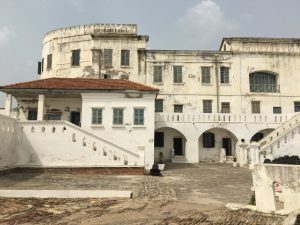 The castle was the largest center for slave trade in Ghana. We were fortunate enough to be able to get a tour of the castle and it was extremely eye-opening for me. 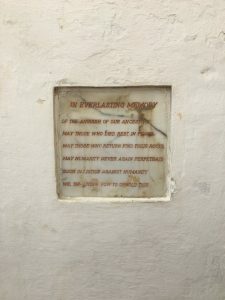 It is one thing to learn about the slave trade in history class in school but it is another to be standing in the place where part of it all occurred and to be immersed in the experience. To actually see how small and dark the rooms were the captives were held were and to walk through the “Door of No Return” puts a whole new understanding on the subject. For me, not only did it give me a newer and realer understanding of the slave trade, it also gave me a new perspective to modern-day racism in the United States and how we have gotten to the point we’re at now. All of these experiences on my trip transformed my world view as well as my personal view. Overall, it was an incredible opportunity that I think everyone should be able to experience in their lifetime. I went into this trip with a pre-existing passion for service and came out with a new understanding for what that means in my life. Personally, I now have a deeper perspective to who I am as a global citizen and how important it is for me to do my part in helping others. Academically and professionally, I feel compelled to combine what I learned and experienced with my long-term professional goals. As previously mentioned, I have always had a passion of helping others but have always seen it as a hobby and not so much as a career path. Now, I am looking into ways of integrating what I learned about service to my future career. As an engineering major, this is definitely within my possible career paths. I was extremely inspired by Lovester and am currently looking into work with prosthetics for children with disabilities. Seeing her hardship with an ill-fitting prosthetic inspired me to fix that specific issue. Additionally, my trip made me realize that, no matter what I end up doing in life, I would like for it to involve helping others. 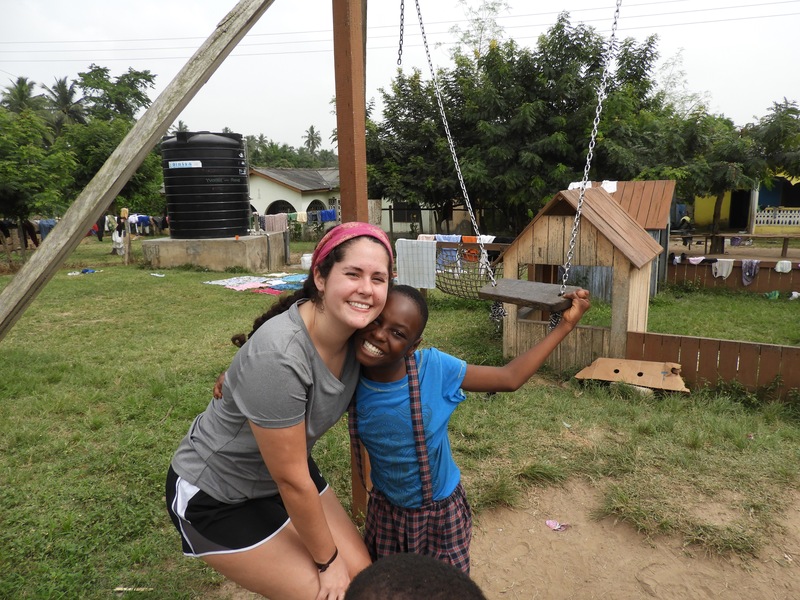 I am so incredibly grateful for the opportunity I had to go to Ghana and am looking for any chance to go back. If it were not for STEP, I would not have had this experience and would not be who I am now. For my STEP signature project, I traveled to Peru to volunteer for a week through Cross-Cultural Solutions. After getting acclimated to the altitude and culture in Cusco, I had the chance to visit Machu Picchu. I then flew to Lima to work with children and do some manual labor in a daycare facility in the shantytown of Chorrillos. Before this experience, I never had the opportunity to embrace a new culture in such a personal way. 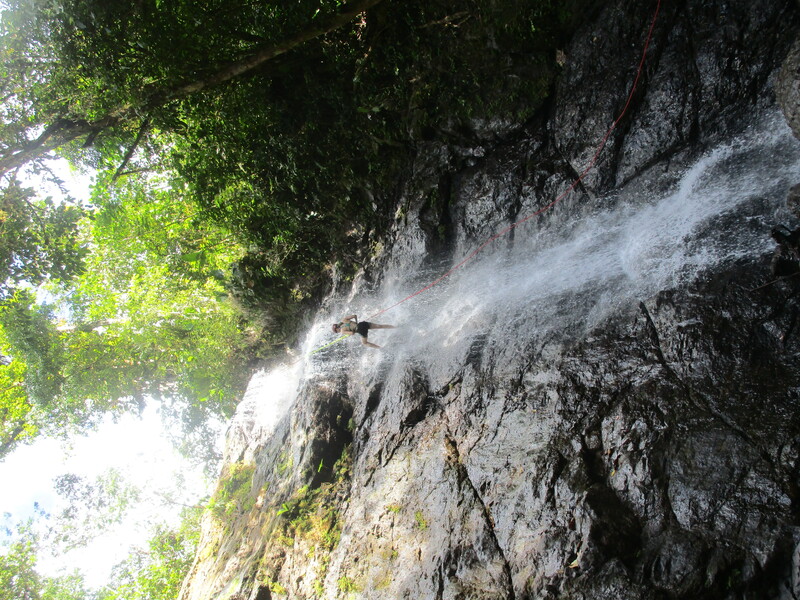 Although I have been out the country numerous times, my family is not the adventurous type. We always were sure to stick close to resorts or tourist destinations. 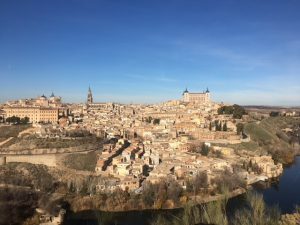 I was unsure how I would be able to navigate a country I had never visited before, never mind the fact that I do not speak Spanish! I knew this trip would challenge me physically with the long length of flights, mentally with the language barrier, and emotionally with trying out new things on my own. However, it has been the best experience of my life. Through many hours of research and some long phone conversations with my CCS mentor, I hoped to have some background knowledge of Peru before I arrived. Of course, what I had learned was only the tip of the iceberg. I was fortunate to have made some Canadian and Peruvian friends in my hostel that showed me the ropes of Cusco and what to expect in Lima. When I arrived to my volunteer placement in Lima, I could not believe my eyes. Many of the poor in Chorrillos live in a dusty, overpopulated, and unsanitary shantytown. Some of the children we worked with have been suffering from respiratory infections due to the poor air quality. I knew that things would be much different, but I did not know to what extent. 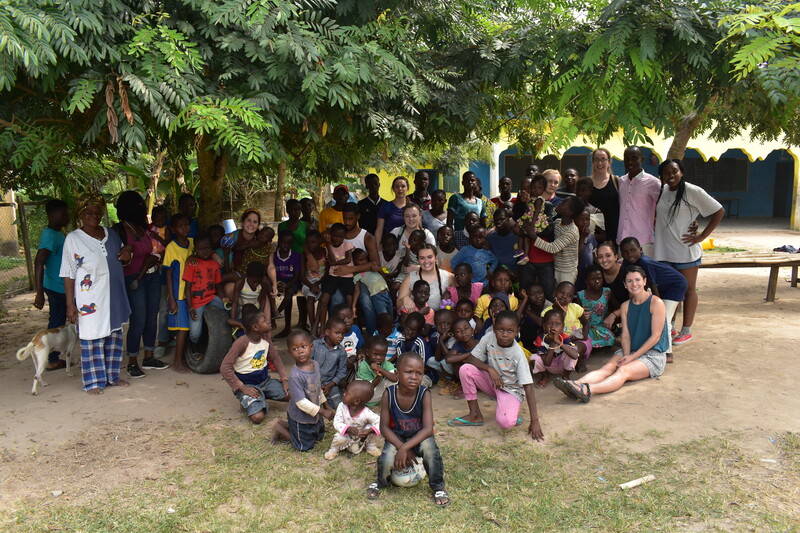 While working with the children, teachers, and parents at the daycare and school for disabled children, I fell in love with their sense of community. 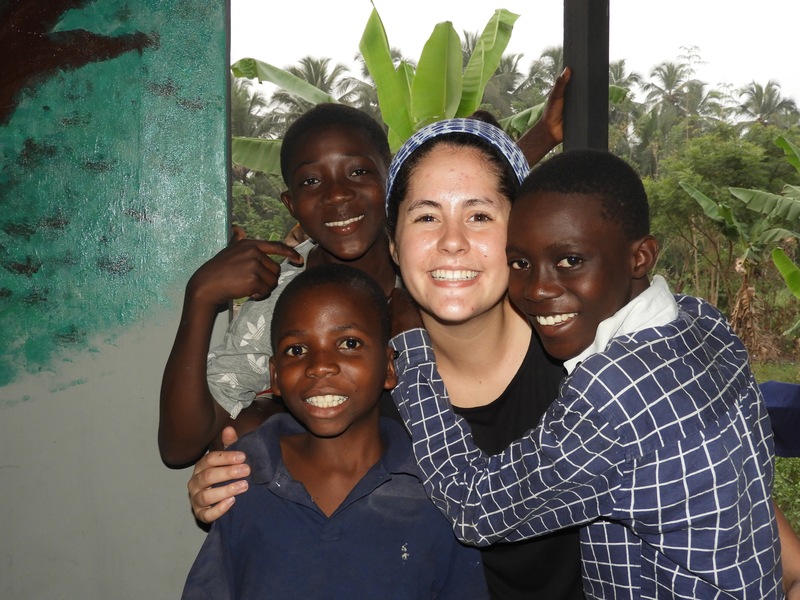 Despite their limited resources and harsh living environment, they found ways to make the lives of the children better. Independence and creativity were fostered by the teachers in every way possible. Lesson plans and activities had dual purposes. One day we created a recipe for the children’s lunch, then went down the street to the market to purchase the ingredients needed. The children helped us pick out the fresh ingredients and pay the merchants. Due to holidays, there where days where attendance was lacking. On these days, the other volunteers and I updated the appearance of the school by painting the posterior walls. Although it took many hours, the teachers appreciated it, as they did not have the time nor energy to devote to such a massive project. The teachers requested this project due to the distracting nature of previous paintings. Too many of the children often lost focus during lessons because they were distracted and discussed the old paintings. Although we had to paint over many of past daycare kids’ paintings, I know that the current students will get much more out of their daily lessons now that they can give their full attention to their teachers. 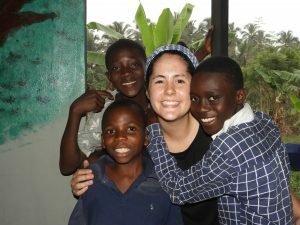 Despite the language barrier, the relationships I formed with the teachers and children will be ones that I never forget. The teachers were very patient with us when trying to explain concepts. They were so excited when we completed the projects they requested of us. The children were often very young, so they did not notice the language gap often, as they simply wanted to play. By the end of my trip in Peru, it became apparent to me that it does not matter where you travel, as long as you are willing to learn and try new things the world has so much to offer in experiences and ideas. This experience has unveiled a new side of me that I did not know existed. Before travelling on my own, I did not know what I prioritized in my life or try new things often. Since coming home, I have found myself being much more willing to try new things and being more open minded to ideas other than my own. Thanks to this experience, I now plan to pursue a global health elective once in graduate school for physical therapy. I wish to take my knowledge and apply it in places where I will be more than repaid in experiencing culture, adventure, and new ways of life.